Just six weeks old and already this place is wowing diners and attracting quite a band of regulars who are simply determined to try everything on the menu. Set up by a former lawyer, Willin Loh, who is more impassioned by the culinary arts than legal humdrums, the menu is simple yet tasty. 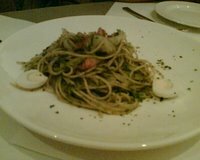 My favourite is the crab meat linguini (S$17.50/US$10.20) in a light tomato sauce with just the slightest hint of chilli. 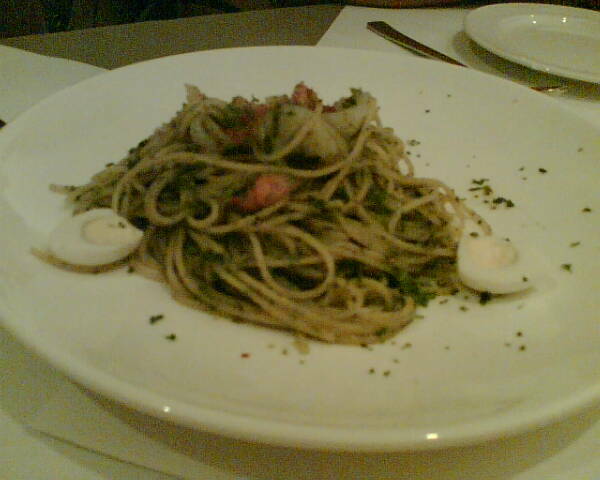 The laksa pesto pasta (S$13.50/US$7.90) is good too, though I feel, will work better as an appetiser. We also had the baked cod (S$25/US$14.70) that was flavoured just right and slightly burnt on the edges, giving it a really unusual texture. 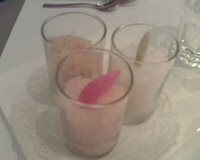 We didn’t try any of the appetisers this time around as we were saving out stomachs for dessert. But I was told that the mushroom soup is quite a stunner. 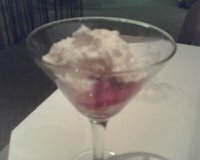 Moving on to the desserts... Warm chocolate cake usually collapses into a rather unglamourous cake/fondant mush when cut. But not this one. For the first time, the cake case was firm and held its form as the fondant gushed. 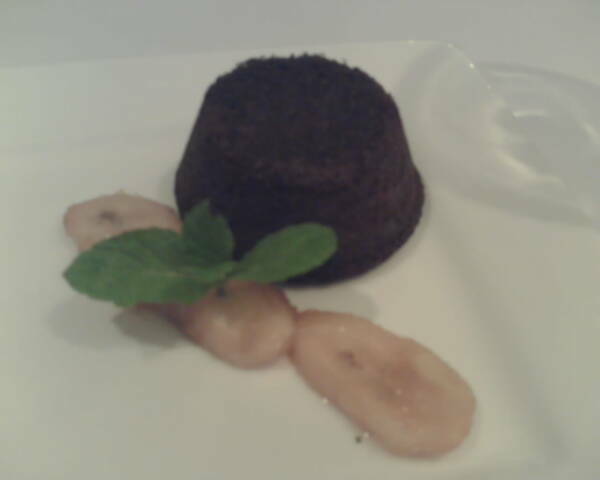 The banana flambe was perhaps a little too subtle for the chocolate, and probably would've done better as a separate dish. But I was a goner from the first whiff. Remember the deconstructed fashion craze that was all vogue a while ago? Think of that but with cheesecake. Willin's strawberry cheesecake and maple walnut ice cream is really a dollup each of strawberry coulis, cream cheese, ice cream and cake alternately put together in a martini glass. And the effect is great-each mouthful is slightly different, depending on how much of each you get in a spoonful, but when you're done, you get the same satisfaction as if you had a traditional slice of cake. Granitas (lemon grass - yums, grapefruit and orange-basil) complimented the main courses very well and were definitely yummy, but given their delicate nature maybe would've served their purpose better earlier in the meal.